There is no one food or supplement that has been proven to substantially improve the symptoms of fibromyalgia. Having said that, there are foods and supplements that can help. Fact: Many fibromyalgia sufferers are subject to sugar cravings and develop hypoglycemia. Fact: Many people who have fibromyalgia suffer from IBS (irritable, irregular bowels) acid reflux, cramps, bloating. Fact: Most fibromyalgics have sleep problems.Fact: Many who suffer from fibromyalgia have allergies and sensitivities to foods and chemicals. A healthy diet promotes sleep, gives you energy to exercise and cope, relieves digestive disorders and controls sugar cravings. Dark berries that are high in antioxidants can be very beneficial in restoring your immune system. They can combat the harmful chemicals from pesticides. Oxygen deprivation to the cells can exasperate fibro symptoms. When you are in pain and/or stress, you breathe less deeply. This can deprive your body and mind form what it need to function properly. Vitamins A and C and the B complexes are essential to help muscles tone and joint flexibility. Minerals such as zinc and iron can boost energy, help relieve the fibro-fog and reduce stress.ORGANICS More and more fibromyalgics are turning to holistic methods of treatment and to organic foods grown without hormone injection and chemicals. Organic foods have higher levels of antioxidants and vitamins. A diet rich in organic fruits and vegetables that are not over cooked or boiled is to many an essential weapon in combating the effects of fibromyalgia.SUPPLEMENTS Many doctors disagree on the beneficial role of supplements in the Western diet. But no one can ignore the fact that westerners are eating more and yet their bodies are malnourished. Our foods are over processed to the point that the cardboard or paper sack they come in may be more nutritious. On the other hand, you have to choose your supplements wisely. Many, in order to sell larger quantities, use fillers such as flour, sugar and soy. These may counteract the benefits. Talk it over with your fibro- specialist. Calcium & Magnesium – promote tissue and muscle function and reduces spasms. Vitamin E – helps circulation and tissue repair and makes platelets less sticky. Ginseng – can be an energy booster and enhance mental and physical aptitude. Betaine HCI raise the levels of SAMe in the body, a natural mood elevator, which is often depleted in Fibro patients. Highly acidic foods, tomatoes, potatoes, eggplant, peppers, red meat, cow products, and wheat products can cause digestive complaints. Sugar, caffeine, alcohol, tobacco, chocolate can seem like stimulants and energy boosters or mood enhancers and stress relievers, but they have adverse effects that can send your body into a yo-yo syndrome of imbalanced chemicals and hormones. Avoid “energy” drinks. Pork has been known to increase chances of gout and cause digestive disturbances in people with low immunity or food sensitivity. The solution to all of this is to get back into your natural state of vibrant health… by “cleansing” yourself from the inside and then providing your body with the raw materials it requires to increase your bone marrow stem cell production. This eBook “How to Reverse Fibromyalgia Now!” by Author and Health expert Matt Traverso uses the research discovered by Dr. Young to reveal to you the right tools to restore your natural inner balance through correct nutrition and diets created specifically for Fibromyalgia sufferers.Click here to discover how he can help you to achieve YOUR inner balance and reverse the debilitating effects of Fibromyalgia. While more and more doctors are studying Fibromyalgia Syndrome (FMS) and more and more are taking the disease seriously, occasionally a naysayer makes the news. On February 8, 2009, the Associate Press released an article where a medical doctor Fred Wolfe was quoted to say that fibromyalgia was dreamed up by the pharmaceutical community and “drug makers” so they could make a huge profit on the latest drugs hitting the market. But this doctor, once a leader in FMS research in the early 1990’s, has in recent years been a derogatory voice against the disease and big drug companies despite being endorsed by six major companies. Even so, it caused controversy and made headlines. Controversy always does. But there are other myths out there that just keep coming to the surface. The point is, these are just myths. Taken from an article by the Mayo Clinic from March, 2008, here are nine of the most common.Fibromyalgia Myth #1 Most doctors do not believe FMS is a real medical condition. Wrong. More and more studies are being done to get at the causes and possible long-term treatments for this disease. If your personal doctor feels otherwise, get a new one that has read medical journal articles in the last ten to fifteen years. While some doctors still believe FMS is not one disease that can be cured, but a mutli-symptomatic phenom., they still believe it is real. Not true. While the disease is progressive, there is no evidence of it causing permanent damage. Friends, coworkers and bosses and even family members who do not understand the disease may think you are “faking it” to get attention or get out of work. But there are plenty of websites and pamphlets that can prove them wrong. Resist getting angry or hurt but initiate a positive, open discussion. Show them the websites or pamphlets or ask if you can make an appointment to talk it over with you in the presence of your doctor. Your positive, “gotta get on with life” attitude will help convince them it is not all an excuse. Fibromyalgia Myth #4 – Fibromyalgia is a wastebasket term for your doctor not knowing what is wrong with you. There are very specific symptoms that FMS patients have in common. Over 18 years ago the guidelines for diagnosing FMS were established. But since there is not one definitive test, it may take time to rule out other disorders as the cause. Fibromyalgia Myth #5 – Fibromyalgia only causes pain. Most FMS patients experience symptoms secondary to the pain. (See article on early warning signs). Most of them experience similar enough symptoms to link them as such. Sleep disorders, digestive disorders, urinary and sexual complaints, headaches, mental fuzziness and mood disorders are all common complaints among fibromyalgics. Fibromyalgia Myth #6 – Since no treatments exist, it is a waste of time and money to go to a doctor. There are many treatments from medications to therapy to alternative and natural methods to treat the pain of fibromyalgia. What there is yet to be found is a cure. That’s human nature. But while it is true the bad days will return, over-exerting yourself and pushing yourself beyond normal limits can bring them on. You can get hurt muscles, get over stressed and eventually just give up hope. You need to find an even pace. Doing little can also bring on symptoms. Pace yourself, be kind to yourself and keep positive. Fibromyalgia Myth #8 – FMS is life threatening if not controlled. There has never been any clinical evidence of this. It is not fatal and it does not damage your body in anyway. Yes it can get worse or more frequent, but you can also learn to live a productive life in spite of FMS. Many do. What did we just say? Learning to cope with FMS does take time and varies between individuals. The truth is everyone has a burden to bear. Very few people are perfectly healthy all of their lives. They just learn to live with their imperfections and go on. One of the best things for chronic pain, believe it or not, is to get up and move. The trouble is, when you are in pain, that is the last thing you feel like doing. But the fact is that muscles that are sedentary, or not active, are more prone to become irritated. We have all felt it the next morning when we overdid it the day before, be it jogging, lifting too much, walking too far, or playing too hard. Ouch. The pain and stiffness lets us know “we had muscles we have forgotten about”. It is no different with your trigger point pains. The trick is to break the cycle of muscle pain, sleep disturbance, fatigue and lack of energy, which leads to less and less activity, which leads to more muscle pain, etc. So even if you are just starting out and have not really exercised in years, moving around is vital in relieving fibromyalgic symptoms.Aerobics is one good form of a mild, not over-exerting form of fibromyalgia exercise. Basically, aerobics is any type of exercise that gets your heart rate and your pulse rate elevated for a while. It gets your blood flowing better. Aerobics helps to strengthen your muscles, give them more flexibility and thus relieves the pain. Popular types are walking, swimming, bicycling or stretching, but do not discount dancing, surfing jumping rope or running. Water aerobicsis especially helpful for several reasons. The warm water helps soothe the muscles and relax them. The increased heart rate gets the blood flowing through the muscles. The buoyancy in water makes the work out non-load bearing on painful joints. Swimming is wonderful for fibromyalgia exercises. Tai Chi is a form of Chinese exercise that can help reduce muscle weakness, joint stiffness and depression. People who regularly practice Tai Chi’s slow rhythmic movements say they sleep better, have more flexibility, have reduced blood pressure levels, less anxiety and decreased pain. It’s been around for over 2000 years. There must be something to say for it.Strength Training under supervision with weights, is a great fibromyalgia exercise and can help you develop muscle tone and range of motion. But remember to start off with the smallest weights possible. The last thing you want to do is to strain your muscles. Start slowly – do not get over zealous. Work through the pain, but not if it gets worse. Set your pace and set goals. If you can only walk a block, fine. Build up to two, then three, then a half mile, etc. Before and after any exercise S-t-r-e-t-c-h. Try yoga or Pilates to achieve better range of motion and muscle conditioning. Stick to it!! Do not give up even if you do not see immediate results. Change takes time. Breathe deeply and often. Oxygen needs to get to those muscles. Cool down and relax before you go “do something else”. If you feel faint, dizzy or nauseous – stop, rest and hydrate. Then tell your doctor. Exercising with a friend helps make it more fun, helps you track your progress and keeps you accountable. There are many ways to treat FMS, but at this point all Fibromyalgia medicine is designed to lessen the symptoms, not to cure the disease. Sleep-aid medications such as Lunesta, Ambien, trazodone or clonazepam are used because one of the main symptoms of fibromyalgia is poor sleep patterns. Fatigue and lack of restive sleep help to worsen the pain, so you sleep less, so the pain worsens. aking sleep aids during flare ups can break that vicious cycle. Anti-depressants that can boost your serotonin and norepinephrine levels (neuro-transmitting hormones and chemicals that register pain levels in the brain and determine tolerance and mood) are often prescribed to be taken on an ongoing basis. Cymbalta, Elavil and Flexeril as well as older known drugs such as Paxil and Prozac are the most common. Pain killers from analgesics to opiate derivatives is a traditional method, but many doctors caution against long term use. Mostly they recommend Tylenol or Advil and perhaps anti-inflammatory medications such as Celbrex or other NSAIDs. Muscle relaxers and anti-epileptics are often prescribed for flare ups. The most common are Lyrica and Neurotin. If you spend anytime listening to the commercials on TV, many of these fibromyalgia medicines sound familiar. Some doctors say their patients find relief with guaifenesin, a common cold medication though why is not known. In January of 2009 a new drug hit the market in the US called Savella ( milnacipran). It is the first drug specifically for the treatment of FMS trigger point pains. However, it won’t be released until May or June. Patients in Europe and Asia have already been taking the drug just now approved by the FDA. It is marketed also under the name of Ixel. Originally it was developed as an anti-depressant, but since it’s introduction in 1997, it has become known as the fibro-drug. It increases the serotonin and norepinephrine levels that send pain signals up through the central nervous system to the brain. The FDA’s test showed at least 30% improvement in pain levels, an overall relief of symptoms and a significant improvement in physical functioning amongst trial patients. The most common side effects that seem to diminish after a few weeks were nausea and headaches. There have been other symptoms reported such as dry mouth and dizziness as well as profuse sweating. People with restless leg syndrome may find their sleep actually gets worse. Since so many patients who suffer from FMS are also oversensitive to chemicals, trying out any new fibromyalgia medicines can be risky. Whatever you try, make sure you and your doctor monitor it carefully, especially if you have had intolerance to medications in the past. Fibromyalgia is a long term disease, so whatever medications you take must be long term as well. People develop tolerances to medications after a while. Addictions is a real concern. AND no one really knows the long term effects of taking many of these drugs for ten, twenty or more years. The best plan many health professionals believe is to take as little fibromyalgia medicines as you can for as short of a period as possible. If you have found this site because someone you care about has been diagnosed with fibromyalgia and you want to know more about the disease, how to support them and what you can do to help them – good for you! They are lucky to have somebody like you in their lives. Patients with chronic illnesses need daily support, but do not need to be coddled. Their disease is often embarrassing for them. They do not want to call attention to themselves. On the other hand they may be a little too much “involved” with their pain and need to learn to cope with it in a healthier manner. That is where you come in. You can help them balance their pain and their lives. It is common for chronic pain patients to be short tempered, feel overwhelmed or angry that this has happened to them. To have something that cannot be cured is scary. Learning to live with it takes courage and a positive attitude. Here’s how you can help. Learn all you can about the disease so you can know when and how to help. Get them out and have some leisure time together. Even if they can’t play tennis with you right now, let them know it is important for you to continue and ask them to come along anyway to support you. Make it a fun, together time and don’t let them sit on the side lines in a pity party. This is a fine line to tread, but it can be done. It will help get them out of their pain box. Sign up for relaxation, yoga or Tai Chi classes with them. It is much more fun to exercise with a friend. Walk together. It can be beneficial for you as well. Encourage them to eat healthier by doing the same. Like exercise, it is something we all need and doing it together makes them accountable. Give them space. Do not try and “do” everything for them. Don’t hover. Encourage them to do things for themselves. When flare up days occur, be there. Do something special like send them an email or take them to lunch. Be empathetic and do not take their moods personally. Remind them that this too will pass. We all need to know people are with us on our journey through life. Most of all, the fibro patient needs to know you understand that their disease is real, it’s not all in their heads – it’s pain all over their bodies. They need to know they are still a valuable influence in your life. They want to believe they can still be a useful member of society. Be their barometer. Keep open and honest communication going. Let them know if you think they are becoming a little too down or even a little too stoic. Above all, be patient, be loving and…always be there when they need you. There will probably come a time when you’ll need them. A healthy Fibromyalgia diet is the one thing everyone can do to reduce the symptoms of Fibromyalgia. Chronic disease is rampant in most of the Western world because of poor eating habits. While there is no one Fibromyalgia diet that can absolutely improve the symptoms of Fibromyalgia, there are several do’s and don’ts that both health professionals and patients agree can help. Positively thinking, first the “DOs”:Antioxidants Found in abundance in the dark fruits, antioxidants stimulate health cellular growth, increase blood flow and give you energy. They also help boost your immune system. Though some doctors argue FMS is not an auto-immune disease, chronic pain can lower your body’s ability to combat infections and viruses.Vitamins A,B,C and E in normal quantities are key in helping muscle tone and joint flexibility. They can be heart healthy as well. Minerals – like iron and zinc are essential to help increase energy and mental acuity. FMS sufferers often complain of “fogginess” or mental “dullness.” Magnesium is often taken as a supplement to relive pain. It has been for centuries. Along with malic acid, studies have shown it reduces the painful achiness many fibro patients suffer and also help to lift the fog and give them stamina to combat the symptoms’ toll on their everyday lives. Avoid as much as possible refined sugars, caffeine, alcohol and tobacco products. Unfortunately chocolate is not a great idea either, even if it does raise serotonin levels and ease stress. It is a stimulant, and FMS victims do not need that type. Same with the so called “energy” drinks. All of these have chemical reactions that can send your system into a roller coaster ride.Pork increases the chances for gout and digestive disturbances. FMS patients often already have digestive issues and may be susceptible to gout in later life, though this is not yet confirmed. Blogs where patients share their strategies for living with the disease seems to stress moderation in salt intake as well as reduction in the consuming of red meat, cold cuts and starches. Aspartame may cause chemical reactions to medications. Because of common complaints from fibromyalgia victims of digestive issues, spicy herbs may aggravate the symptoms. It is a fact that many FMS patients also have food allergies, though the connection has not yet been discovered. Therefore, avoidance of some foods may be beneficial to some and then again, to others it may not make a significant difference. Basically, if you think about it, all of these do’s and don’ts are good advice for anyone who wants to live a more energetic, healthy lifestyle. Again, there has been no studies done that provide absolute proof that any of these rules have a positive or a negative effect on Fibromyalgia diets. But a healthy diet rich in fruits, vegetables, lean meats and vitamins can’t be a bad thing. And while hair and blood samples on Fibromyalgia patients taken in studies show no across the board mineral deficiency, a normal supply on a daily basis can only be beneficial. Many have theories about what causes Fibromyalgia, though there has been no true clinical evidence to prove or disapprove any one theory.Is It Auto Immune? For the last twenty or so years, doctors and scientists have classified fibromyalgia as an auto-immune disease. But most other auto-immune diseases such as rheumatoid arthritis and lupus show up in blood tests that measure the erythrocyte sedimentation rates. There are no blood tests to prove or disprove a patient has fibromyalgia. However, having a good blood work up is a way to rule out other diseases that may have similar symptoms. It is highly recommended by most medical researchers.Is It Emotional? Some researchers have traced what causes fibromyalgia back to stemming from some sort of traumatic emotional or physical event (like a death of a loved one or a severe automobile accident.) Other researchers classify it as a chronic pain disease. They believe an imbalance of chemicals in the brain that control our moods may also control our tolerance for pain. We all know when we are tired and grouchy; everything seems exaggerated – pain, noise, the inability to tolerate that co-worker that “gets on our nerves”. Is It Hormonal? Still others are studying the possibility that it all relates to the chemicals transmitters that pain produces in our bodies. There may be underlying hormonal causes. An imbalance of cortisol and other growth hormones in the pituitary gland caused by sleep disturbances may cause lower tolerance of pain. Others think perhaps some undetected virus or bacterial infection may be what causes Fibromyalgia. More recent research involving the study of brain waves and how different people actually process pain has come up with a new theory. Is It Painful? It is believed that patients with fibromyalgia may actually process pain differently. Why? It seems that the more we are in pain, the more the brain’s “pain receptors” become sensitive to it. Therefore, the pain threshold becomes lower and the ability to tolerate pain weakens. Each time pain hits, the brain searches its memory and will over time tend to overemphasize that pain because it has felt it so many times, alarms go off. It is like crying “Wolf”, but in reverse. The brain tells the body to overreact, to be more receptive to the pain. The nerves send out signals that the pain is extreme in fibromyalgia patients where as in others it may be a lot milder. Pain has long been a relative thing. Has your doctor ever asked, “On a scale from one to ten, ten being the worst…”? That because defining pain varies so much between individuals. This new study may be cluing into why.Is it Genetic? There is some evidence in case studies that what causes Fibromyalgia may run in families. But medical research is not ready to call this a genetic malady. Mostly because not that many generations of truly well diagnosed fibromyalgia patients have been documented and tracked. It may be a hereditary thing, or it may be environmental. Some people in the same family may have less ability to combat pain, but why is unknown. Maybe it is learned behavior. It may also be some depleting of our body’s defenses through the introduction of free radicals and chemicals in our environment. It may be the way the brain sends out signals.Who Gets It? The good news is that while there is no consensus in the medical community on what causes Fibromyalgia, researchers are still seeking answers. That means the disease is being taken seriously. For the millions of sufferers out there with fibromyalgia, that is encouraging. Be Sociable, Share! The pains that fibro patients suffer vary as much as the ways they find fibromyalgia pain relief. While there are promising results from medications such as Lyrica and Savella, many long term victims have turned to other means of pain relief. They have undergone massage therapy, acupuncture, chiropractic techniques and aqua-therapeutic exercises. But there are other more exotic and less known therapies being used. Magnet therapy and low frequency therapy are gaining in popularity. These help to target the muscles involved and get the pain to switch off for a while through cell stimulation. In low frequency therapy, sound waves are introduced into the body even though the human ear cannot pick them up. The cells are believed to be stimulated by the sound wave. Similarly, magnet therapy uses electrical currents to course through the body. It is not painful. The Chinese have used magnets to relieve pain for centuries. Both types are often used in conjunction with massage therapy. Other therapies concentrate on relaxing the body rather than stimulating it. Biofeedback shows you on the screen how your body reacts to pain and slowly teaches you through visual representation to help relax and control it. It has been successful for chronic pain and migraine sufferers for over twenty years. Many insurances will cover it. Aromatherapies such as flower essence therapy help to relax the muscles and nerves. Yoga moves help control deep cleansing breaths and smooth muscle stretches. Watsu, Tai CI. Reiki and Qigong are all forms of Eastern therapy methods some FMS patients are turning to in order to self-relieve their pain. Lately, there is a lot of talk in the FMS community about colon cleanses that help relieve the body of toxins. 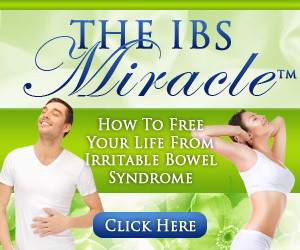 It has been long established the fibro patients suffer from digestive disorders. It is best to consult with the health care professional who is treating your fibromyalgia before you undertake this type of fibromyalgia pain relief. Diet and supplements have been known to help ease the flare-ups. Many fibromyalgia patients firmly believe that the supplements they take help reduce the “fibro-fog”, a self defense mechanism that tries to block the pain and usually blocks everything else as well, leaving the patient dulled and not mentally acute. The cycle of pain, fatigue, pain, fatigue can become frustrating for a person who suffers with fibromyalgia. Breaking that cycle is the key to fibromyalgia pain relief. Whatever it takes, whatever works for you is what is important. Perhaps it may be a combination of therapies both practiced at home and through a professional. Until researchers discover a cure for FMS, living with the pain is the only option you have. There is no right or wrong method to help ease the frustration of always being in chronic pain. It can be depressing, limiting and downright unfair. You need fibromyalgia pain relief. Do what works for you. Muscle pain, fatigue, sleeping disorders, stiffness in joints and body aches are the most common complaints of people suffering from Fibromyalgia. Let’s take a look at some of these symptoms and see what treatments or methods you can use to help relieve them. Pain caused by Fibromyalgia can be both widespread and localized and usually feels like general achiness and stiffness over the whole body. Feeling almost like the soreness and tenderness of flu symptoms, pain can also be concentrated in one or all of the “trigger points” in the body. These so called trigger points are located at the parts of the body where tendons connect to bones. Typically found in the buttocks, neck, arms and back areas. The pain at these locations feel like a stabbing sensation and you feel like you have no control over the feeling at all. Treating this symptom of Fibromyalgia is a complex and generally lifelong process. It is best to get professional help and guidance from a physician you trust and believes in the Fibromyalgia syndrome. Some don’t. There are also alternative or natural methods of dealing with Fibromyalgia, again, get help from someone you trust and know has either been there or knows what they are talking about. Local fibro support groups are a great place to start. Another symptom of Fibromyalgia is problems getting the proper amount of sleep. The pain caused by fibromyalgia can prevent many sufferers from falling asleep. Many studies have shown that pain caused by Fibromyalgia disrupts your REM sleep. REM is short for Rapid Eye Movement and is the deepest stage of sleep. Without REM sleep you can’t get the full benefit of restful and refreshing sleep that you need every night. Without proper sleep you become exhausted and can feel like you are fatigued all the time. In order to help you get the sleep you need if you suffer from Fibromyalgia, you need to have a consistent nighttime routine. Go to bed and wake up at the same time each day. Don’t take long mid day naps. Don’t ingest any stimulants such as caffeine or sodas that could affect your being able to fall asleep. There may be other methods that your physician or people in a fibromyalgia support group could help you with. Check them out also. Fatigue that is reported by many fibro sufferers is usually caused by lack of sleep. But some people have said they feel even more tired after waking up from sleeping when they have fibromyalgia. Over ninety percent say they suffer from chronic fatigue, in other words they feel tired all the time. Lack of interest in daily activities, decrease in sexual desire and a feeling of depression can all be caused by this chronic fatigue. Try to follow the same treatment you would for sleep disorders above. Consistent routines and no long mid day naps. It may take a period of adjustment but can payoff in a short time with more restful sleep and less feelings of fatigue. In response to the pain from fibromyalgia, people reduce their activity levels in an attempt to alleviate that pain. This can affect the digestive system by causing indigestion, constipation and even diarrhea. 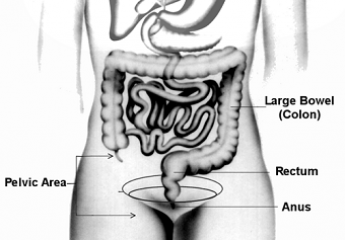 It is reported that over thirty percent of fibro patients also have digestive disorders. How Do Doctors Diagnose Fibromyalgia? Once you are diagnosed with having fibromyalgia, an incurable chronic disease, you may feel like someone has knocked the pins out from under you. We are a society used to taking a pill to be healed. We want instant results. Unfortunately, few of us get that. Living with your disease is all a matter of attitude. Being in chronic pain, frustrated that it has taken so long to get diagnosed, that it won’t go away and that you just do not have the energy or gumption to do what you once did, it is easy to get down and stay down. But that will just make things worse. Here are some Fibromyalgia Tips:Stay active. Even during flare ups, moderate, slowly building up strength and endurance exercising is necessary to keep your muscles flexible. Exercise relieves stress and helps your digestive, circulatory and nervous systems function better as well. Find a physical therapist or another professional who know how to work with trigger points and fibromyalgics. Visit websites, read pamphlets, blog with other victims of this disease, join support groups. No it does not have to rule your life and be your number one priority. Far from it. But there is strength in knowledge. It may not go away, but you can somewhat control its effects on your everyday life. Be Kind to Yourself. Don’t blame yourself for getting fibromyalgia. It happens. You do not have to feel guilty or frustrated. We all have limitations, especially as we age. The trick is to not let is weigh you down and sink you into a pit of despair and anger. That will only make the hurt worse. Sometimes you will have what is called “fibro-fog”. Your memory just isn’t as acute. You forget little things. Chronic pain, stress and anxiety can do that. It is a physical reaction. Of course, some medications have that effect as well. If it becomes too chronic or bothersome, talk with your doctor. In the meantime, carry a notepad or use your blackberry to make “mental notes”. Read and play games to keep your mind “exercised” as well as your body.Laugh. Yes, that’s right. People who laugh are healthier. They have better digestion, better energy, a more positive outlook on life, are fun to be around and live longer. Volunteer. Take your mind off you and do something on a regular basis for someone else. It does not have to be over- physical like building a house or mowing grass. Read to children at a local library. Visit patients in nursing homes. Deliver meals. Sort mail and help stuff envelopes. Anything that helps others. Nonprofit and religious organizations are desperate for volunteers. Relieve Your Pain at home. Use pressure, heat, ice, rest, good sleep- whatever works for you. The trick is to use as little pain medication as possible, reserving it for only the worse flare-ups. Medications can make your system and your brain sluggish. They can be addictive. You already have one condition; don’t add another on top of it.Eat Healthy. We all need to do that. Foods rich in antioxidants help the body function better. Sugar, caffeine, starchy fried foods can irritate your digestive tract, an area that is sensitive to many fibro patients. It can disturb your sleep; make your fatigue and listlessness worse. Make a log and notice what you eat in a given week. If you have fibro-hypoglycemia you may have severe sugar cravings. Talk with your doctor about the effects of smoking and alcohol. While these habits may seem to temporarily relieve pain and stress, they are actually making things worse.Identify what stresses you out. Then try and avoid it. Yes, that is oversimplifying it, but you can feel more in control when you do not let fibromyalgia “get to you”. Find out what gets your goat and then change your routine or change your attitude about it. You can be in charge of most of your circumstances; and those you cannot, well; you can learn to not let them upset you as much. By taking an active role, and using these fibromyalgia tips, you can learn to control fibromyalgia rather than have it continue to control you. The more battles you win the more of a conqueror you will become and the better you will feel about yourself and your world. One way doctors tell if a person is suffering from fibromyalgia is by examining the trigger points, also known as tender points. Fibromyalgia trigger points are unique places in the body that, when pressed, can generate pain. It can be a burning or radiating stab or a dull ache, but it is pain. There are 18 trigger points in the human body. Some doctors also consider the outside of the ankles as a place where fibromyalgia patients complain of pain, but this is not as often. Acupuncturists utilize trigger points in their treatments and have documented over 75 in the human body. But only these 18 are used for diagnostic purposes. The examiner will place slight pressure on the tender or trigger point, enough for his fingernail to start to turn whitish or “blanch.” This is called a palpitation exam. The whole exam takes about five minutes. The doctor watches for the patient’s reactions and asks them to gauge the pain on a scale of one to ten. A good majority of fibromyalgia sufferers will react with extreme tenderness to around eleven fibromyalgia trigger point sites. But this is not written stone by any means. Many react to only eight or ten.. Some react to all eighteen. Others can tell you “exactly where it hurts” even if it is not a trigger. Some patients will feel tenderness in only a few places at one given time, or may feel pain in one greater and longer than in another point. It all varies and may be exasperated by weather changes, mood changes and physical changes in the body, lack of sleep or a virus..
Whatever “triggers” the pain, it usually begins in many of these areas. It can come on suddenly in a sharp pain, or gradually over a day or two then worsen into a stabbing or throbbing pain that will make getting into a comfortable position nearly impossible and affect the sleep. About 2-3% of the population has. But what exactly is it or is it just a catch all for “we don’t know what’s wrong with you”? That is why it is so hard to diagnose fibromyalgia. Chronic pain baffles doctors because nothing seems to cure it. And it lingers, sometimes worsens, sometimes gets a bit better. Tests keep coming up negative. X-rays, CT scans and MRI’s are inconclusive. Conventional pain killers and muscle relaxers are non-effective. Sometimes patients feel like giving up, are tired of going to doctor after doctor with no results, and end up thinking it is all in their heads. More often than not their love ones are telling them that. But fibromyalgia is not just a catch-all diagnosis to be used when physicians cannot come up with something else for a diagnosis. It is not all mental, just as it is not all physical. Yes, stress can exasperate any pain, and chronic pain can lead to depressive and anxious moods. Of course patients with fibromyalgia are down because doing everyday activities hurt, they cannot do what they want to do and nothing seems to relive their pain. They do not sleep well, which leads to fatigue. It can be a vicious circle of emotional and physical discomfort. It helps to know where the name fibromyalgia comes from. The fibroids are the bulbous tips of the nerves that run throughout our muscles and soft issues. Myo means muscle in Greek, and algio means pain. True fibromyalgia patients will have pain in 11 of the 18 trigger points in the body, though some do have less. If you have had widespread pain for more than three months in all four quadrants of your body (i.e. in your shoulders, neck, chest, hips, knees, elbows on both sides), especially if you press on them, and if you feel chronically fatigued , have your doctor do a trigger point sensitivity test. Then together you can discuss ways to relive the discomfort. There is no cure, but there are treatments that can help. And don’t worry, fibromyalgia does not permanently impair your muscles. You will have good days and bad days. But you won’t have all bad days. We know fibromyalgia is chronic, it occurs all over the body, and it has a myriad of secondary symptoms. So how in the world can doctors come up with a firm diagnosis and tell their patient, “You definitely have this syndrome”? Medical science has not come up with a test that will confirm a patient has fibromyalgia. Still, there are tests that a doctor may want to order just to make sure the symptoms are not signs of another disease. Blood tests – to determine if the thyroid is functioning properly, if there is a presence of a hormonal or chemical imbalance, if there is a change in the sedimentation rate that might indicate an auto-immune disease like RA or Lupus, or if there is a vitamin deficiency . Blood tests are great tools to rule out everything BUT fibromyalgia. Nerve conduction studies, circulatory studies, MRIs or CT scans may all be used to make sure there is not another cause for the painful symptoms. GI tests, esophageal studies, and sonograms of the gall bladder, liver and stomach may be ordered to make sure there is no serious digestive disease present.. While all of these may seem to be unnecessarily expensive and grueling to undergo, if the patient has multiple symptoms that just do not respond to medication, doctors are trained to “look elsewhere”. The way they look is through testing. It’s better than cutting you open, right? There are two big clues that a person may be suffering from fibromyalgia. The first is the tender points or trigger points. If many of them are affected, it is a fair indication that the person has chronic pain and possibly fibromyalgia. The second is the widespread aspect itself. Many people have low back pain or neck and shoulder pain. Many have hip and joint pain. Many have headaches and stomach problems. But the patient that has multiple pain areas over their body is a red flag in diagnosing fibromyalgia. The pain can be varied. Some people say it is a burning sensation. Others says it is more like a stabbing pain. Many sufferers says it is a dull, flu-like ache that is nagging. Some describe the pain as throbbing or shooting. Still more say it fluctuates between achy and sharpness. If you use more muscles during the day than others, the pain will migrate. For example, if you stand all day, the pain may be more in the lower part of the body by the end of the day. If you sit and type on a keyboard all day, the pain may be in the neck, elbows, shoulders, upper chest and/or head. As more and more doctors become familiar with the disease and it’s implications, more will be able to diagnose the likelihood that their chronic pain patient does indeed have fibromyalgia. And they will be able to diagnose it quicker and hopefully be able to help their patients adjust and cope with the symptoms sooner than later. But more than likely, it will take time and a bunch of “ruling out” first. And that will mean test, after test. At least the person will know what they do not have in the end. That can be a good thing. If you have been diagnosed with fibromyalgia you have probably been through a battery of doctors over the past several years. You and your family doctor have ruled out all sorts of other diseases. Well, that’s good, if you think about it. You have had blood work, x-rays, scans, specialist consults, physical therapy, seen a mental health professional. Perhaps you have seen neurologists, rheumatologists, gastrointestinal doctors, orthopedists, pain management doctors. You have been on the roller coaster trying to figure out if you have MS, RA, cancer, IBS, depression, lupus, thyroid problems, sleep apnea and on, and on…. It is like you need a good coach to organize all of these medical players. Well, yes you do. The problem is that fibromyalgia is so multi-symptomatic that there is no one health care official who can definitively claim to be THE RIGHT Doctor.Here is what you can do. Try and understand what your doctor is looking for. Know the symptoms of fibromyalgia and the main two ways to diagnose that you have it for sure: multiple trigger points pain and widespread chronic pain over your entire body on both sides. Do not be afraid to ask why and be pro-active. Assist your fibromyalgia doctor in a plan of attack. Keep a list of your changing symptoms, write down what tests you have had and their results. Make copies for specialists so you do not forget anything that may prove important. Do not be a whiner. Be positive and you will get your fibromyalgia doctor on your side. He or she will know you are serious in finding answers and are not a “hypochondriac”. Go with your gut feeling. You can tell the first few minutes with a doctor if he or she is empathetic, knowledgeable and helpful. Do they respect your options about your own body? Do they take time to explain things in terms you can understand? Is their staff friendly, caring and helpful? Are they knowledgeable yet willing to tell you when you need to see another specialist? If you do not believe your are making progress, find a new fibromyalgia doctor. That is your prerogative. Not every doctor is knowledgeable about every disease. Work with doctors that are open to alternative treatments such as massage therapy, chiropractic, organic nutrition or acupuncture. Do not rule out getting some sort of group therapy or individual life coaching therapy. Developing good coping skills is a major factor in the overall success of treating your condition. That is nothing to be ashamed of. When you find the right fibromyalgia doctor that can be on your team in this lifelong battle, you will feel more in control, more positive and have a better outlook on the whole fibromyalgia syndrome. Finally, when you find the right doctor for you, listen and do what they say. Follow their instructions to the letter. Then if what they suggest does not help, you both have grounds to figure out the next course of action. Remember you and your doctor are a team. Honesty, determination and mutual respect are key weapons in this battle.